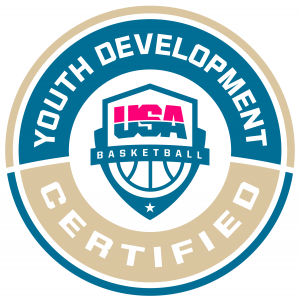 Austin Youth Basketball Strives To Create Confidence and Leadership in Each and Every Child. We do this using a very specific method. We create an environment where failure is encouraged. This is very difficult to do during a season or even during pre-season for basketball team members at the school/club environment. Player Development, however, is different and no serious innovation or development can occur without pushing ourselves past our comfort zone. The failure is part of the journey to purpose and power. We believe in practice, practice, practice. Your grandparents said practice makes perfect, scientists call it muscle memory etc. The bottom line is that it works. Make practice hard, and the game of basketball comes easy. Each and every practice has to have a sense of purpose. For shooting practice, game shots, game spots, at game speed are critical to success. Great Coaching. Finding a great coach who has a combination of expertise and passion are critical. Many “been there, done that guys” lack the passion to enthusiastically teach why power skipping lays the foundation for powerful layups and eventually dunks. Many passionate coaches lack the expertise to teach a drop step with toes pointing at the rim. Instead they yell “go up strong!” Children are highly intuitive and young basketball players deserve player development coaches who are both passionate and expert. Focus and Commitment. Taking yourself to new levels is not easy. Magic Wands don’t exist. The brain needs to be re-wired. Persistence thru this process means fighting past the two steps forward and one step back. Player development work should be practiced in the driveways and courts of America after coaching sessions. Commitment to the image of who you are and who you want to become are critical. The end goal begins with one step, followed by another step. What are you doing today to reach your goal? Fun. Yes, intense hard work can be fun. Not all aspects are fun, but the goal should be to have fun. 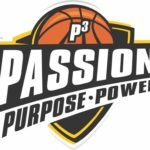 If this is indeed your passion or the passion of your child, we are here to support, teach, and encourage confidence and leadership in your player.